2013_12-07. As a protective measure, three Snowy Owls were captured and removed from Logan Airport today. Later in the afternoon, the Owls were released in coastal regions south of Boston that they are well suited to. 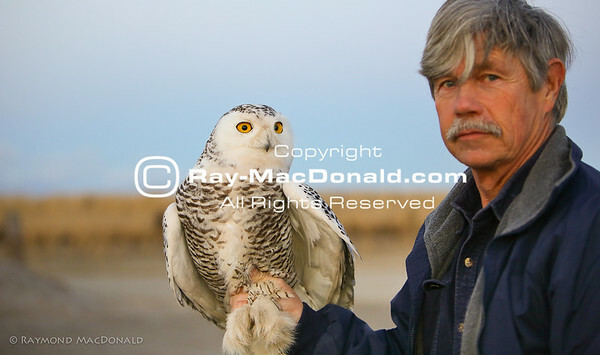 Norman Smith and Snowy Owl #1.